From US-101, take the Las Posas Rd exit heading South. -- From SR-1, turn South onto Las Posas Rd. This road will take you to the gate. Once through the gate, continue on Las Posas Rd to the first stop sign. Las Posas goes around a curve to the right and becomes 13th St. The stop sign is on 13th St. Turn left onto Laguna Rd. Go about .7 miles to the Beach Motel on your left. Turn left on 16th Street. The Outdoor Recreation building on the left is the new check-in spot for the park. Accepted. Active duty can make a reservation up to 1 year in advance. Retired, DOD, and all others can make reservations 6 months in advance. Free Wi-fi in the RV Park and DSL inside the hotel rooms (bring your own Ethernet cable) with 2 desks for computers in the Beach Hotel lobby. No pets in motel. 2 pets allowed in the campground with usual leash and clean-up rules. 30 day stay limit in campground, with 7 days out. 7 day stay limit in hotel. No annual limit. Tent sites are closed Feb 15-May 30th for Seal Pup Birthing Season. Motel rates vary on type of accommodation. Higher rates (motel and campground) are for civilians. Check-in and Check-out is noon. This is really a very beautifully located park. Our main issue were the Santa Ana winds, they are apparently quite prevalent in the winter months an will jostle your rig day and night when they blow. 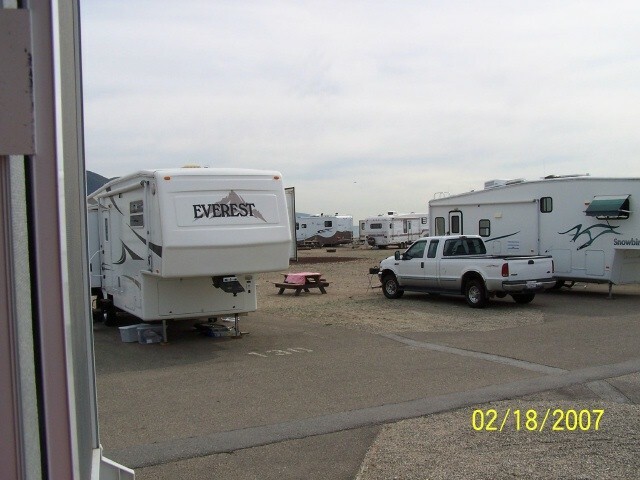 Sites are large enough and the restrooms and showers appeared clean. Camp Host was essentially nonexistent although I did see him once on the JD Gator. We cut our stay to one week due to the winds, but will be back as there are a vast number of activities and sights within easy travel that we still want to enjoy. We stay in a 32' motor home with tow. First off I have to say, we did not stay here. 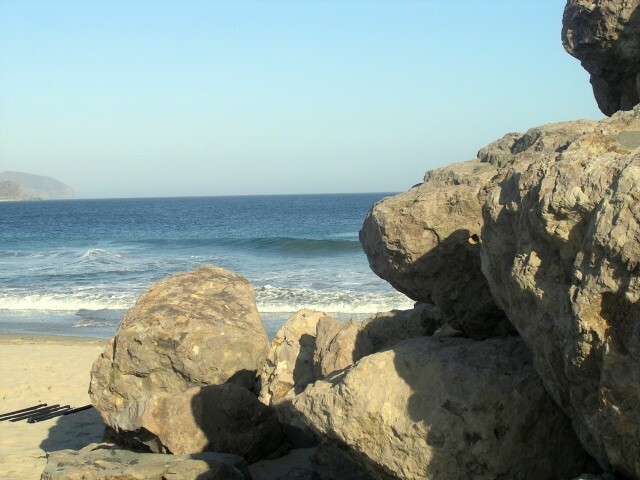 We decided to make reservations at Port Hueneme after reading the reviews here. We were so wrong! We should have stayed here. Now that was a nice park but this one sits right on the ocean and I guess it depends on what you're looking for. 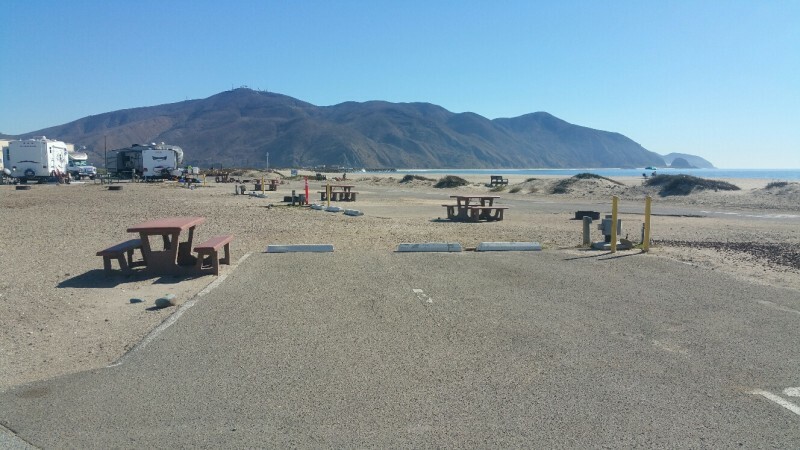 The location could not be beat and even though we don't like paying $40 a night for a military campground, this one could be considered cheap compared to other California RV parks. After all, it's right on the beach!! 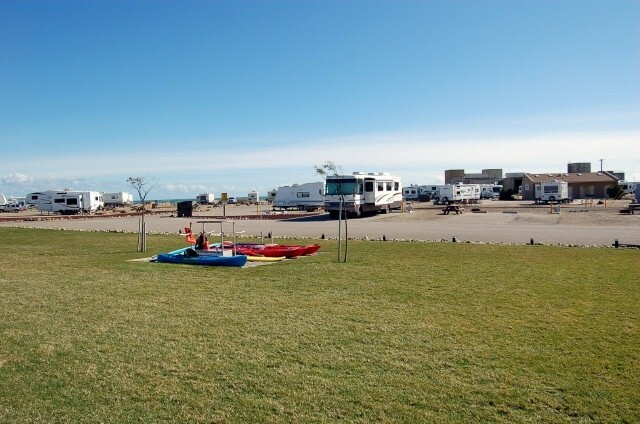 We spent quite a bit of time visiting this RV park and wished we had more time to extend our stay in the area. However, we have now put it on our list for a future trip. It is gorgeous here. The location is out of this world. The beach is beautiful and RVs back up to the beach. Right at the location are rentals for outdoor equipment. In addition there are covered picnic tables for day use. Shopping is close both on the base and at Port Hueneme/Oxnard right down the road. Gorgeous. 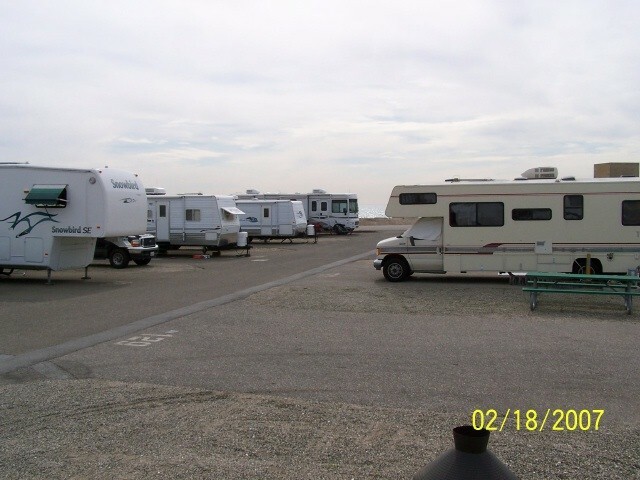 The one good thing about this RV Park is it is close to the ocean. New MWR Bldg is nice. Staff does not offer anything unless you ask. Checked in okay,but I had to ask for a map of the base (1st time here). With a sigh she searched for a map. There is NO WIFI. No cable TV. Unfortunately my satellite system decided to crash which meant I had to put up the RV Antenna. We got 12 channels. ABC, Bounce, Ion, 3 Spanish channels, 4 PBS channels, Jewel channel, and a channel that shows really old programming. The sites are really quite small. We had a back in site and we had to move the picnic table to squeeze in our Chevy HHR. The absolute worst thing are the hordes of Mosquitoes. They are everywhere. 2 minutes outside my RV and I must have been stung 10 times. They are very aggressive to the point our dogs didn't want to go outside the RV. I called the desk and asked if the base sprays for mosquitoes and was told "I think so." Stay away from any vegetation! For the price of $40/day I think we got short changed. This is our first time here. We will not be returning. 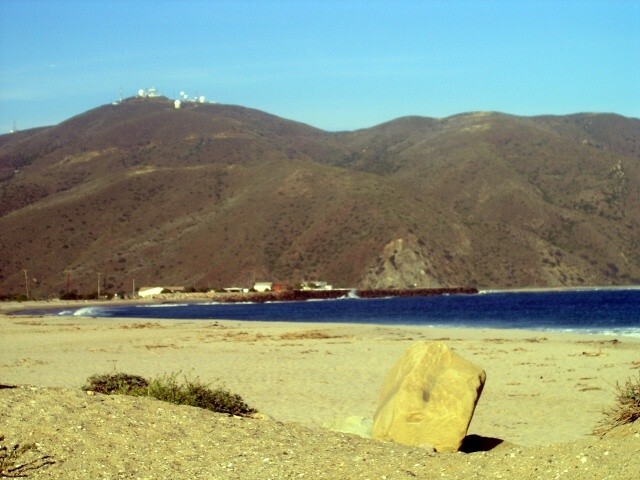 I have stayed at Pt Mugu several times in the past and generally love the park. This time was a little different, and it does seem to be going downhill. On the positive side, the location is above par and the views can't be beat. The area is great and the overall experience is worth it. All employee interactions were great and nothing negative to say about their work ethic. On the negative side, I think the price for a full-hook up site is pretty high at $40 per night, but for a short term stay is is OK. The 50 amp back-in sites (there are no pull-throughs), which is what I reserved through the Navy Getaways website, are adequate for size and accessibility, however upon arrival to the park I learned that many of the 50 amp sites have the sewer shut down due to maintenance issues and won't be available until sometime in 2019. 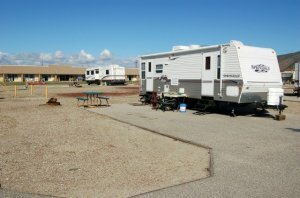 They still charge $40 a night, and several of the sites that were supposedly affected had rigs in there with the sewer hooked up, so it is either a "who you know" situation or there is some other reason that some people can have sewer and others can't, but it sure creates an impression of favoritism. 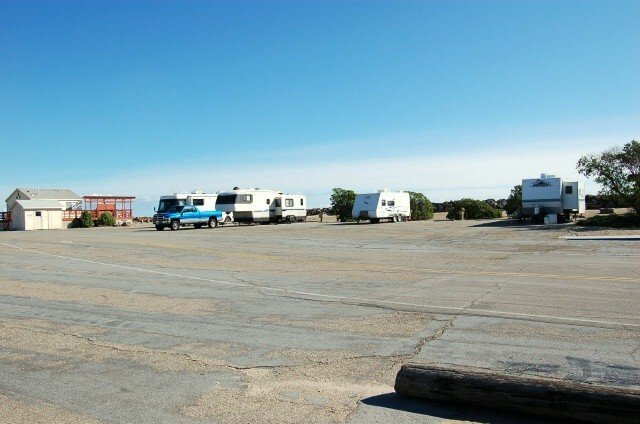 I was put into another area (near the tenting area) that did have 50 amp and sewer, however it is just an asphalt parking lot with stripes and hookups near the end of the parking lot. I did get the services I reserved (50 amp, back in, full hookup) however I literally had another trailer less that 1' from my living room window on the last night we stayed. They were interested in drinking and raising a ruckus until about 3 AM, with their windows open, so while they were technically inside and not in the common areas, it was a disturbance for part of the stay. On a previous visit I elected to stay in a smaller 30amp site, however due to the backlog of maintenance on the power service the circuit breakers kept tripping under light load. That required a move to another site so that was a pain. The WiFi was nowhere near reliable, and in Navy parks the system is pretty wonky, so I usually don't rely on it. MWR does have a brand new building at the park, and it seems the employees have a nice place to work--I believe that is an indicator of the attitude toward the park itself. I think the patron experience should take priority as they are paying the bills, so the improvement funds should have gone into the camping facilities rather that the MWR employee area. This park has the potential to become a great place to stay, but I think they're trading location for service to the customer and figuring the customer will put up with less in exchange for the views. I don't think I'll return, at least until the utilities situation is resolved. I’m a full timer and the promise of WIFI is kind of critical. I’m here for leisure/necessity. That means I’m in the park long term. Everyone is raving about the host, but the regular staff are worthless. They don’t answer the phone, they shrug their shoulders if you complain about something, “meh, that’s how it’s been and it isn’t getting fixed.” The organization and operation is haphazard, didn’t even get a pamphlet with the codes to the shower room or a map of the facility. The grounds are generally “adequate, while the staff has a less than 1 year old building to work out of with functional internet. 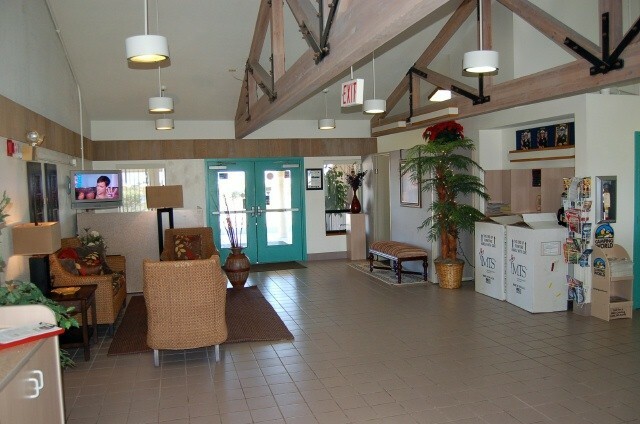 All of the managers are located on Port Hueneme and they are easier to reach than the reception desk. Oh yea, they only have 1 washer/dryer for the hotel, yurts, and RV sites which are all managed together. This park lacks modern amenities such as WiFi and cable, but the views make you forget those things. The park is kept in immaculate shape, due mostly because of the camp hosts Bob and Ruth. They work around the clock to get you in and make sure all your needs are taken care of. These two are an asset to the park. They care and it shows. 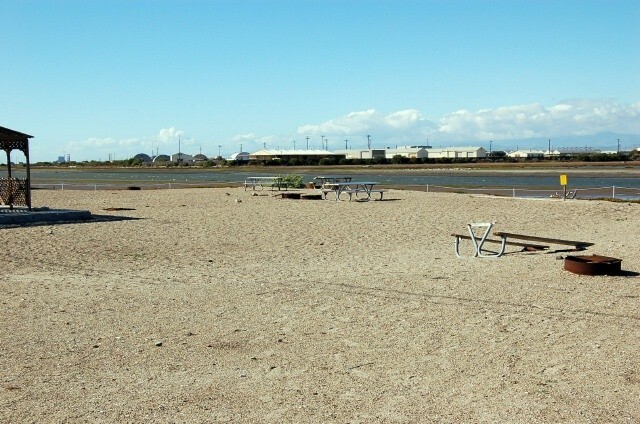 The park itself is fairly run down due to the salt water. Bob works hard to keep every site up and running. Laundry area is in poor shape. Overall we definitely enjoyed our stay this memorial weekend. Great campground. Spacious sites with 30 and 50 Amp sites. Full hookups. Front desk very helpful and accommodating. The Camp hosts, Bob and Ruth, are very friendly and make sure the rules are followed. The worst spot is 100 yards from the Beach and even during the middle of Summer the Beach isn't crowded. This is my Wifes favorite camp spot. We feel safe. Basic campground in a great location. 300-400 ft. from the beach. April-May is a good time of the year if you like peace and quiet. Beautiful beach, good for nice walks. Easy check-in. The camp hosts make a difference here. They are involved and enforce the rules. Don't let your dogs run wild here, you will get caught! Pros: located near the beach, lots of wildlife in the nearby estuary, fairly quiet. Cons: no supplies nearby, there is a BX on the other side of the base. Sites are mostly back-in so you have to unhitch. Utilities (water, electric, sewage) all work well. Laundry room located in the hotel only had one working washing machine and two dryers. Plenty of restaurants located in Oxnard between 15-25 minutes away. Terrible experience and I am submitting this review in hopes that it will not happen to anyone else. So, we are going to California. As a Navy vet, I was pretty excited to find such nice-looking accommodations at such a good price. A yurt on the beach - sound terrific - sign me up! I asked the people on the phone several times to be sure that it was OK that I was no longer active duty, not retired, just your average vet. Sure sure they said. Can you check with your manager, I asked. Sure - everything is fine - looking forward to having you. Flash forward several months and we pull up to the gate, tired and ready to hit the rack at 7:30 p.m. Gate guards say no. We call the office. They say we are so sorry, you have to be active duty to get on the base and so cannot stay here. You know, they said, this is the second time this week that this has happened. The people on the 800 number keep making these reservations. So, there we are, family of five, parked in the dirt lot outside of the gate, googling a new place to stay at 8 p.m. in the evening on a Saturday night. It's not the 800 number people who are to blame here. It's the people who manage the 800 number. This was completely unacceptable - there are other "Navy words" that come to mind. The upshot is that they need to fix this now. **UPDATE** 10/23/17 The beach motel is no longer the check-in desk for the RV park. Instead, turn left on 16th Street. The Outdoor Recreation building on the left is the new check-in spot for the park. If you arrive after closing, I'm sure you can check in with the camp host. Happy camping! Bumping this down to a 4 in the overall experience, which is not something I do often. Most of our trips here have been 5x5's by the way. During this time of year the mosquitoes are BAD! Bring whatever bug repellant you prefer and prepare to douse yourself in it repeatedly. After that, you'll only get eaten half as bad as you normally would. When I asked a former camp host why there is no mosquitoes abatement program I was told that it was because the birds wouldn't have anything to eat!? I had a good laugh at this. Anyways, everything else was great! The beach was awesome and I even went swimming for a little bit. What made it even more enjoyable was the fact that my buddy and his family were allowed to dry camp after figuring out that his reservation was lost due to some glitch in the reservation system. Which reminds me, if you use the ill-configured web site, make sure you call the front desk to confirm it went through to avoid any weekend wrecking reservation snafus. Enjoy! 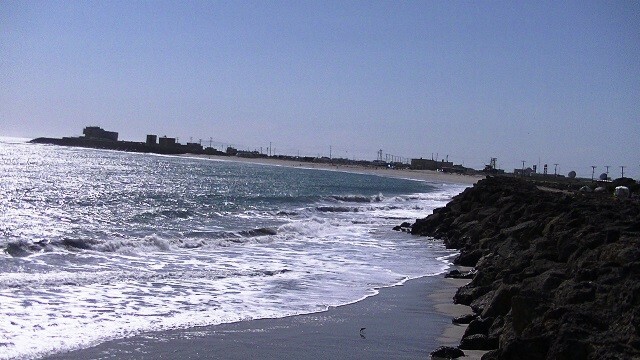 I'm currently staying at Port Hueneme because the last time I stayed at Pt. Mugu there was an engine test stand directly across the street from my site and they started running engine/propeller tests at 7 AM. Good news....they've moved the test stand....even the building is gone! Also, check in/reservations has been moved to the large building south of the Beach Motel. Sorry I didn't get the building number. I had questions so I spoke with the staff and learned they had just got their voicemail system working so that explained why I couldn't leave a message! Anyway, like others have said, awesome place and great staff. I'm planning on Pt. Mugu next time I come south. 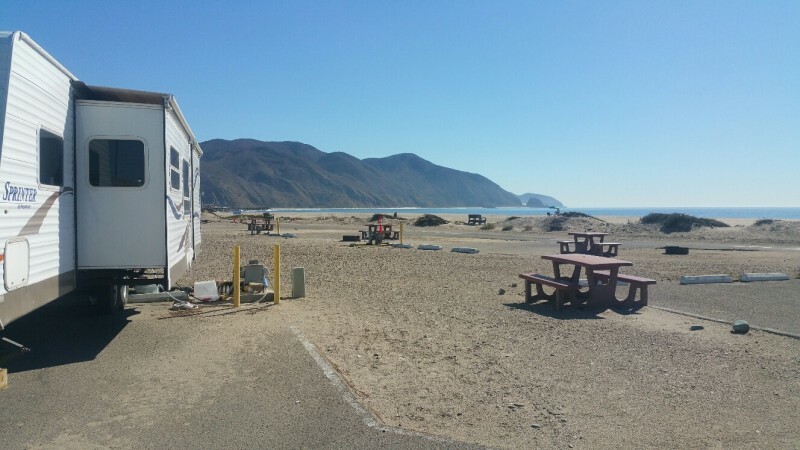 The office personnel at Pt Mugu Hotel/Rv park are fantastic. We had several mixups with our reservations but with all my questions, issues, etc. they were patient, polite and seemingly appreciative that we were staying with them. Bob and Ruth the camp host, I can't say enough about. They have arranged a July 4th picnic to honor the vets and their guests. Bob is always on the go, cleaning up the sites, pulling weeds, talking with the other campers. I can't say enough of the camp hosts. They welcome you, help with any problem that may arise. When we were here during Memorial Day weekend and the seal swam up on shore, they did babysitting duty until he went back to the sea. After reading some of the previous reviews I was a little worried about staying at this park. But our stay was wonderful and we have no complaints at all. Check-in is well marked and the staff is friendly and helpful. Our site was right across from the beach and was level and long enough for our 42’ 5th wheel. There was a parking spot right beside our RV for the truck. There is a picnic table and fire ring at each site. The hookups showed some deterioration from the salt air but worked just fine. The facility was clean and all the dog owners were all participating in “clean up duty”! The views are beautiful and the beach is very nice. The park was very quiet and lots of space to ride you bike or walk the dog. 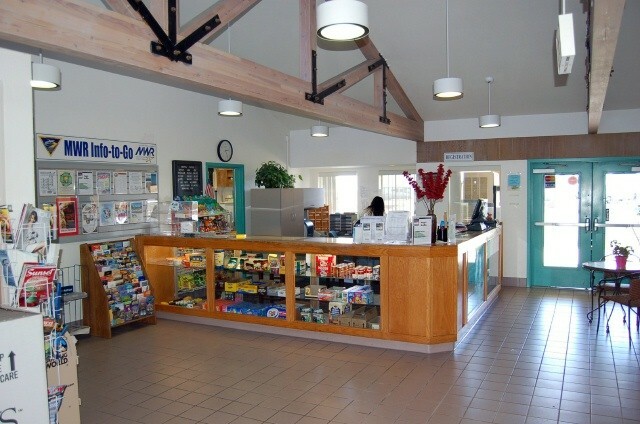 There is an exchange on base for any necessities and the commissary at Port Hueneme is just a 15 minute drive. Would love to come back for another visit. Check in was easy to find and the staff was very helpful. This was our first time to Pt Magu and we will be coming back. The restrooms were clean as was the campground itself. My only complaint, and one the staff cannot do anything about, is the layout of the sites, they should be angled instead of being at a right angle to the interior road. Watch the video and you will see what I am talking about. Most of the other reviews have covered the issues but must add 2 specific items. Check-in didn't go so well. Where to register wasn't marked well. After 2 laps around the park, stopped and asked a current resident. It is in the hotel office. After getting to the desk, I selected a spot that looks to be right next to the hotel. NOT - about 1/2 a mile away. Please: update your map to reflect this is a real distance from check-in, not adjacent to the other spaces. Also, no switch/breaker on the 50 amp supply. NOT GOOD. Power plugs straight into the receptacle. I have a surge suppressor but it always is a red flag for us. Got to say, as always, our fellow RVers were great to talk with and get info from. LOCATION,LOCATION, LOCATION. Cannot say if I'd stay here again, this FamCamp needs some updating. Where do I begin? Water connections are either broken or are on their last days. Some sites the sewer is broken and unusable. Some sites the electricity is broken and unusable. Absolutely no wifi. Mosquitoes that are thick as thieves. Drunks everywhere. Vomit and feces smeared in the bathroom showers. Trash littering the beach. Dog crap is rarely picked up Dogs running off leash Police speeding through the campground, and driving the wrong way. Dogs left outside for many hours, barking Drunk drivers all over the place Very loud music being played after hours Manager is useless Homesteaders trying to find ways around the 30 day rule They need to shut this park down and fix it. This place has gone way downhill. If you stay here, don't say you weren't warned! If you like the beach, this is the place for you. If mosquitoes like the taste of your blood STAY AWAY. We spent two nights here and the first was uneventful because the wind was pretty stout which I assume kept the mosquitoes at bay. The whole experience was tainted the next day. Virtually no wind and the mosquitoes were brutal. Very welcoming staff. Good level sites. 30 amp sites have the best access to the beach. We would return if the mosquito activity decreases in the winter months. We did not notice the aircraft noise. I live within 20 minutes of this facility and use the RV Lot quite often. Here's some information you should know. 1.) No Diesel Gas is available on this base. The Seabee Base in Port Hueneme does have diesel. 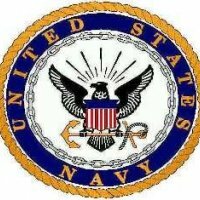 The "Excuse" I was given by the NEX people was that "Because they didn't sell much Diesel Gas at the Seabee Base (Over 20 minutes away) they didn't feel that the gas station at Point Mugu merited one when they upgraded and installed new pumps. Yes, they are idiots. 2.) 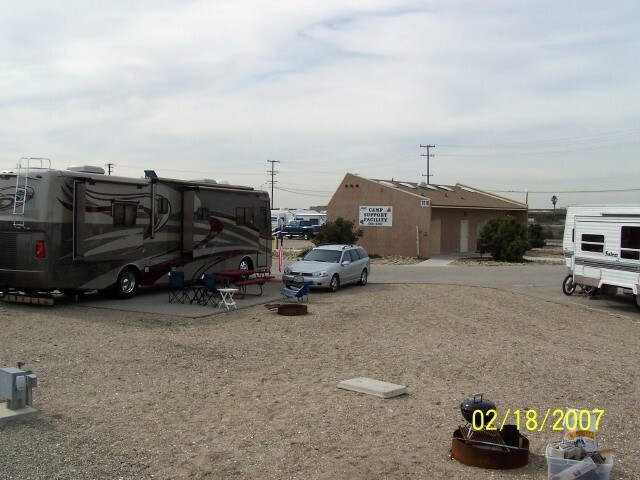 The Beach Motel is right next to the RV Lot and was recently upgraded. Unfortunately, neither the Motel or the RV Lot offer Free Basic Cable TV any more. (It's about the money folks) 3.) The 30 amp RV spots are the best spots IMO. I can use up to 50 amp and always ask for the 30 amp. 4.) Free Coffee in the Motel Lounge. Always Fresh. If you're early enough, free local Newspaper too. 5.) The Bathroom Facilities were gutted and remodeled and are very nice. 6.) If you are staying during the Week Days, BEWARE. There's and Aircraft Engine test facility right next to the lot and they can get noisy sometimes when running up one of the Turboprop engines during testing. 7.) The Beach is the BEST beach in the county. It faces South, not West like all of the others, so if a breeze kicks up, it's not in your face. Also, the surfers beach down the road is one of the most sought after Surfing beaches in So. Cal. So if you surf, bring your board, you won't be disappointed. 8.) The staff at the Motel are very helpful. If you have any issues with noise, yappy dogs etc. Let them know and they will fix the problem. There's also a Camp Host who is responsible for making sure folks keep it tame. 9.) 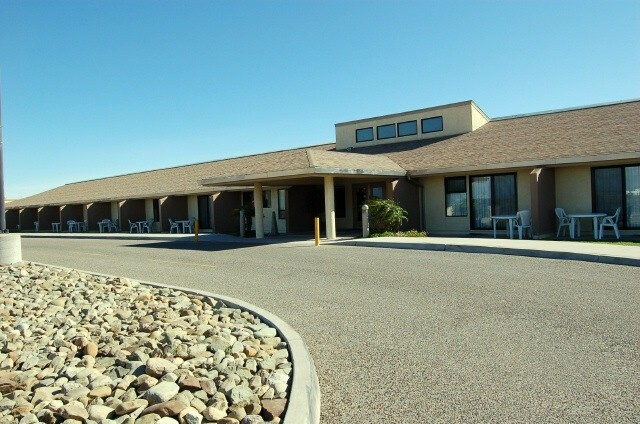 There is a Navy Gateway Inns & Suites on base and it's in the middle of the barracks area and closer to the mini-mart (Sorry, Commissary and Main Exchange is at the Seabee Base). 10.) The theatre on base offers FREE movies each night to Active, Retired, Reserve, and DOD Civilians. 11.) 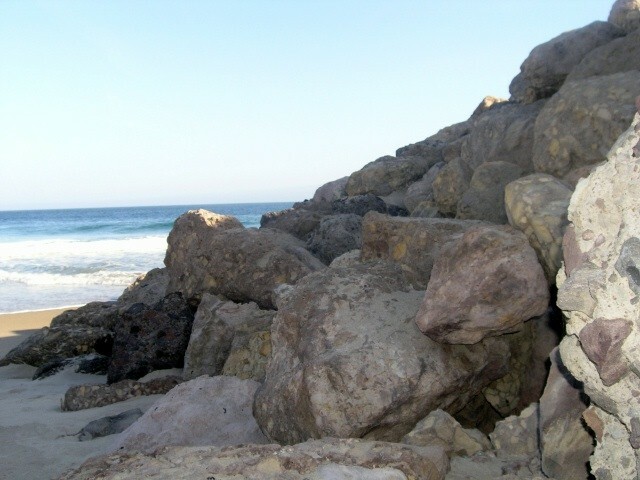 The Las Posas Gate (Off Pacific Coast Highway) is the only gate open 24/7. I hope this helps. This place is awesome!! Really enjoyed our time here. 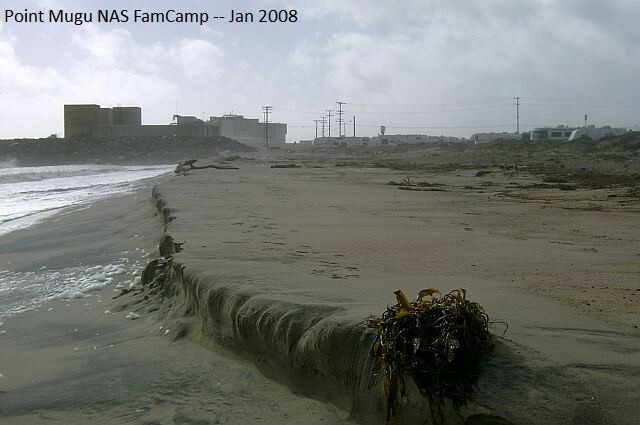 The campground is right on the ocean. You can spot seals, dolphins and whales and just about any time of day. Camp is very clean and pretty well taken care of. The laundry facilities are free!! Staff is amazingly helpful. Only two downfalls: first DO NOT drink the tap water. It is over loaded with chlorine. You can smell it and most definitely taste it. It's so strong that some folks have reported becoming ill. Second is there are a few people who like to leave their poor dogs locked up in cages outside and they leave them there all day. Not only do these dogs spend the day barking (which is very annoying to non pet owners) they have no food, water or shelter. The rules are very clear that you're not to do this but some people still do. The office takes the complaints very seriously. There were absolutely no mosquitoes. Bring some ear plugs and bottled water and this place is almost paradise. We will definitely be back!! Originally planed on a 2 night stay on our way back from Morro Bay State Park. Nothing to complain about this place. The camp host Crystal was very helpful, bathrooms were very clean and plenty of hot water. Spotty WiFi but not a issue. Maurice at the reception was able to extend our stay for a extra night. 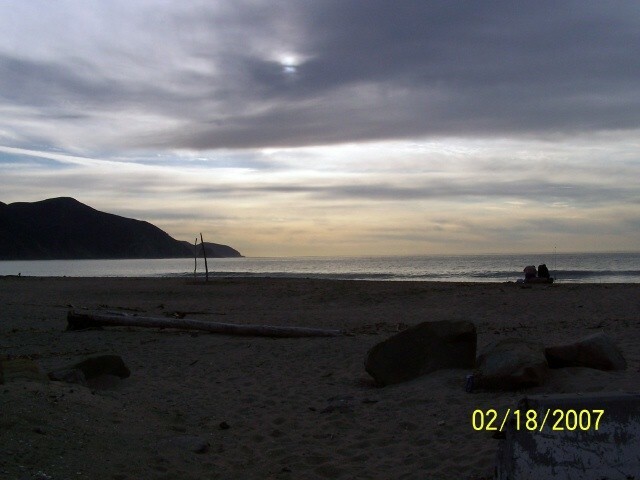 Close to LA and all beach location like Malibu, Zuma Beach. Great price. Will definitely come back again.